Holy moly, it’s cold! (Gotta keep our PG rating.) Now it feels like January. This week, in my seemingly endless commentary on the weather, we take a decided downturn in temps, just as we were thinking that this might be a mild winter. 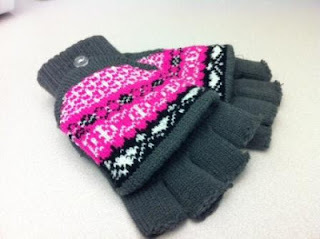 As I write this, I’m wearing the gloves one of my nieces gave me for Christmas—you know, the kind with no fingertips (see photo below). I haben’t quite got the hamg of typing with rhem yet, but they help. Tonight from 7 to 9 pm, the Visitor Center at Old Economy Village is the place to be for the opening of “A Plane Old Exhibit.” Michael Falcone, a 10th-grader at Quaker Valley High School and member of Old Economy’s Young Harmonist program, has taken an interest in the site’s Cabinet Shop. Harmonist woodworkers were prolific, turning out a variety of furniture and other products (see a post here about a previous exhibit on Harmonist furniture). Falcone researched woodworking planes (of which there are many in the collection) and has put together a temporary exhibit to share this aspect of the site’s rich history. The exhibit will continue until April, so if tonight’s not good for you, there’s still time. Erie Maritime Museum will host a reception on Sunday, Jan. 27, from 2 to 4 pm to mark the opening of their new exhibit on the Erie-Extension Canal. The last section of a statewide network of canals, the Erie-Extension Canal (opened in 1844) connected Lake Erie to Pittsburgh and the Ohio River (and thence to the Mississippi). The exhibit is based on materials donated by Elizabeth Malc-Dwyer, whose law office building was located over the bed of the canal on Erie's West Sixth Street, with additional pieces drawn from the museum's collection and the Hazel Kibler Memorial Museum in Girard. Sunday's reception is free and open to the public. After that, the exhibit will be included in regular museum admission and will remain on view through June. Next Thursday, Jan. 31, is the deadline for submitting entries for the Railroad Museum of Pennsylvania’s photography contest. Photos of railroad people, places, and equipment in Pennsylvania are welcome (photo must have been taken in 2012) and will form the basis of a temporary exhibit at the museum. Go here for details and instructions. The State Museum of Pennsylvania’s temporary exhibit on the 150th anniversary of the Emancipation Proclamation continues through February 3. A rare signed copy of the document, on loan from the Union League of Philadelphia, is the centerpiece of the exhibit, which also draws from the State Museum and State Archives collections. The exhibit is included in regular museum admission. Fort Pitt Museum and the Railroad Museum of Pennsylvania will be open Monday, Jan. 21, but all other Trails of History sites are closed. The deadline for undergraduate and graduate students to apply for the PHMC's Keystone Summer Internship Program is February 15. Internships are unpaid but PHMC works with students' home institutions to provide academic credit. Moreover, real world work experience, substantive projects, and professional networking are part of the deal as well. Students can apply to work in the PHMC's Harrisburg offices or at sites on the Trails of History. For more information, go here. Washington Crossing Historic Park is nominated in several categories for this year’s Happening List in Bucks County. I think you’re supposed to be a local resident to vote, so if you are, please do. The Friends of Washington Crossing are nominated for best Bucks Charity (click here to vote). Click here to vote for Brewfest (third annual coming up May 11) as best outdoor event. And you can support Bowman’s Hill Tower for best scenic view by clicking here. The State Museum of Pennsylvania is currently exhibiting a copy of the Emancipation Proclamation in honor of its 150th anniversary. The document is on loan from the Union League of Philadelphia and will be on view during regular museum hours through Feb. 3. Find out more here. The Winter 2013 issue of Pennsylvania Heritage magazine is out. Two articles on very different subjects are available online—one on motorsports in Pennsylvania and the other on Woo Hong Neok, a Chinese American soldier in the American Civil War (he lived in Lancaster County). The full magazine (including the quarterly Trailheads feature) is a benefit of membership in the Pennsylvania Heritage Foundation. Pennsbury Manor is hosting this year’s interpretation workshop by the Rural History Confederation (an association of historic sites located in southeastern PA). The theme is Mythbusting and looks at popular misconceptions of history and historic sites. The workshop is designed for folks who interpret history to the public but open to anyone interested in history. Registration is required (cost is $35). Go here for details. Tomorrow’s Plant Propagation workshop at Landis Valley Village and Farm Museum is sold out, but there are more Heirloom Seed Program events (as well as lots of other things) on the schedule if you want to get a jump on the crowd. Go here for more info. That's it for now. Whatever you do this weekend, may it be rewarding. It looks like the weather this weekend will be warmer than usual—providing some variation from the proverbial “Farm Show weather.” Speaking of which, there’s still time (until tomorrow) to visit the PHMC exhibits in the Main Hall (go east at the butter sculpture). The Weathervane Museum Store at Landis Valley Village and Farm Museum will host a class on Saturday afternoon, January 26, for folks wanting to learn how to work with tin. Participants will make several Valentines-themed projects. Cost is $10; go here for details. Eckley Miners’ Village has announced the winner of their fall foliage photo contest. Tom Andes, of Weatherly, submitted the winning photo (above) showing village houses framed by beautiful autumn colors. The photo will be displayed in the lobby of the visitor center and currently serves as the cover photo on Eckley’s Facebook page. Congratulations to Tom, and thank you to all who participated in the contest. 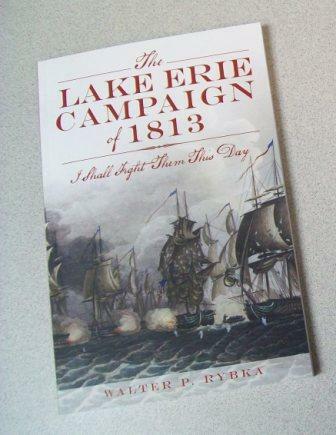 Walter Rybka, Site Administrator at the Erie Maritime Museum and Senior Captain of the Flagship Niagara, can be seen Sunday, January 13, at 9 pm on PCN’s “PA Books” program. He will be talking about the role of the Lake Erie campaign in the War of 1812, the subject of his new book (pictured above). At Old Economy Village the Rapp House is closed to the public while an interior restoration project gets underway. The work will implement a furnishing study completed by Gail Winkler in 2006. (You can read more about the project here.) We expect the restoration will be completed this summer and will keep you posted. The rest of the site is open (check the website for operating hours). From January 25 until April, the Visitor Center will feature “A Plane Old Exhibit,” the product of Young Harmonist Michael Falcone’s research into woodworking tools in the OEV collection. Well, it’s a new year. I hope that you’re feeling optimistic and ready for whatever lies ahead. It may not solve everything, but it can’t hurt. Folks on the Trails of History are planning programs and tours and special events and lectures and exhibits and much, much more. Site schedules are in winter mode, which means some have reduced hours or are closed except by prior arrangement. Most sites will be closed on January 21 for Martin Luther King, Jr., Day; Fort Pitt Museum (which is closed for exhibit work Jan. 1-20) and the Railroad Museum of Pennsylvania will be open. (And of course winter weather events can throw every plan out the window.) Please check with the sites you want to visit to be sure they’ll be open when you plan to be there. Staff from the Bureau for Historic Preservation and the State Museum will be at the Pennsylvania Farm Show (Jan. 5-12) promoting historical markers, archaeology, and lots of other good stuff to the assembled throng. Be sure to visit the PHMC booth in the Family Living area of the Main Hall (east of the butter sculpture). Go here for show details. Jan. 19: Knox Mine Disaster—this program looks at the events of Jan. 22, 1959, when the Susquehanna River flooded the mine at Port Griffith (Luzerne County) and explores the effects on the local community. 3 pm. Jan. 24, 31: Winter History Class—this annual program explores a variety of topics related to the Historic Ephrata Cloister and the world in which it existed. Classes continue each Thursday and conclude with a field trip on April 3. Cost is $50 ($40 for members of Ephrata Cloister Associates) with an additional fee for the field trip. Call 717/733-6600 to register. 9 am-noon. Jan. 6: Twelfth Day—glimpse the Priestley family’s life in Northumberland with a taste of the English customs they remembered. (Go here for a nice article on the event.) The house will be decorated as an English country manor, costumed docents will be on hand, and there will be chemistry demonstrations and children’s games. Admission charged. 1-4 pm. Jan. 19: Propagation Workshop—volunteers from the Heirloom Seed Program will teach you how to start plants from seeds and cuttings or by division of existing plants. Cost is $30 and includes materials you will be able to take home with you. Class size is limited, so please register by Jan. 14; registration form is here. 9 am-3 pm. Jan. 31: Entry deadline for photography contest—photos of railroad people, places, and equipment taken in 2012 in Pennsylvania are eligible for the contest, which will result in an exhibit at the museum this spring. Go here for details and entry form. Jan. 11: Emancipation Proclamation lecture—Harold Holzer, author of Emancipating Lincoln: The Proclamation in Text, Context and History, will help mark the 150th anniversary of this historic document with a presentation (sponsored by the Pennsylvania Heritage Foundation). Admission is free. 7:30 pm. Jan. 12: Martin Luther King, Jr., Celebration—Nate Gadsden’s Writers Wordshop will host a birthday celebration at the museum; the event is free and open to the public. 2-4 pm. Jan. 12-Feb. 3: Emancipation Proclamation exhibit—a rare copy of the document, on loan from the Union League of Philadelphia, will be on display at the museum during regular hours. Included in museum admission. Jan. 18: Artists Conversations—artists/educators Deb Watson and Richard Ressel will discuss their work as well as other traditional and emerging art perspectives showcased in the Pennsylvania Watercolor Society’s juried exhibition, currently on view at the museum (through Feb. 3). Part of 3rd in the Burg, a monthly event celebrating local artists and arts venues. 6:30 pm.